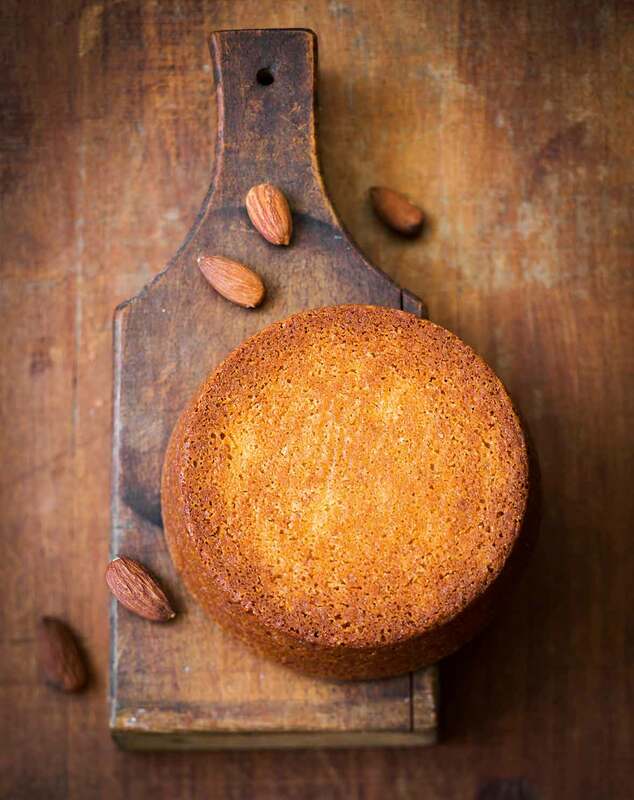 This flourless almond cake is French and flavorful and gluten-free through and through, crisp and crunchy on the outside, dense and chewy on the inside. Perfect for Passover. This cake was originally devised to be made in a 6-inch cake pan. Which, admittedly, isn’t terribly convenient for most of us home bakers. However, we’ve heard from folks who’ve made use of the 8-inch cake pans they do have on hand and they simply doubled the recipe and baked it a little longer. We’re testing this at home as we type, as we do all the recipes and recommendations we share on this site, and will be back with you to let you know our results. But know that others have had success with this in case you’re wanting this cake but not wanting to wait for Amazon to deliver a new pan (or not wanting to splurge on an extra piece of kitchen gadgetry because, let’s face it, most of us already have more than our share). 1. Preheat the oven to 325°F (160°C). Line a 6-inch cake pan* (see NOTE above) with parchment paper cut to fit and generously butter the bottom and sides of the pan. 2. In a large bowl, combine the ground almonds, salt, confectioners’ sugar, and granulated sugar. Add the beaten egg, melted butter, and vanilla extract to the dry ingredients. Mix until smooth. The batter should be quite thick. Scrape the batter into the prepared cake pan and smooth the top. 3. Bake for 35 to 40 minutes, until the cake is golden brown and a cake tester inserted into the center comes out clean. Carefully turn the cake out of the pan onto a wire rack and let it cool completely. Wrap in plastic wrap until serving. The almond cake will keep in an airtight container, or well wrapped in plastic wrap, for several days, though it’s unlikely that anyone will resist for that long. Feel free to vary the recipe with lemon or lime zest in place of the vanilla or even a tablespoon of orange flower water instead. This flourless almond cake can easily be made kosher for Passover by paying careful attention to the ingredients. Most conventional confectioners’ sugar contains cornstarch, which isn’t kosher for Passover. However, many brands of organic confectioners’ sugars instead contain tapioca starch. Check the ingredients list to be certain and look for the kosher symbol on the packaging. You’ll also need to substitute the seeds from a vanilla bean for the vanilla extract. Depending on how much you fancy the flavor of vanilla, you can use anywhere from 1 inch of a vanilla bean to 1/4 the entire vanilla bean in this recipe. This quick-to-prepare, light-tasting cake, or rather, confection, has just the right amount of sweetness and the lovely taste of almond. The almond cake recipe is easy to assemble and the cake turns out moist in the middle and slightly firm at the edges. I didn't have a 6-inch cake tin so I just heaped the batter on a buttered parchment sheet, smoothed it into a circle with the back of a spatula, and placed it in a 9-inch pie dish, leaving several inches of empty space between the edge of the pie plate and the batter. The free-formed cake cooked up beautifully and I knew it was done when the toothpick came out clean after about 40 minutes or so. It was cut into wedges and served warm with espresso and milk and enjoyed by all who tried it. Everyone asked for seconds! It would be hard to eat just one thin slice of this cake. In fact, it would be next to impossible. This cake is quite irresistible. The texture was so lovely, especially around the edges, and the color was beautiful. The buttery almond flavor was divine, and while there certainly wouldn’t be any harm in trying the cake with the citrus zest or orange flower water suggested, I'd also try substituting rose water for the vanilla. The cake isn't very tall. It's worth investing in a 6-inch cake pan, which isn't difficult to track down. At 35 minutes, the cake didn't look done. At 40 minutes, the toothpick tested clean. This was the first one, the one that broke a bit on removal from the pan. I was baking with a friend, and we thought we would try 48 minutes on the second round. The second time, the cake looked golden brown, browner than anticipated, at 45 minutes. We were still seeing a bit of uncooked batter in the center at 45 minutes. My thought is at least 48 minutes is needed and maybe even a few minutes longer. Lastly, I dare anyone, even a solo eater, to try to keep this cake around for any length of time, though it's nice to know this could be done successfully if my willpower would cooperate! This is lovely with a cup of nice, strong black tea. This simple recipe produces a densely delicious cake that can easily be put together in the spur of the moment. It can be served as suggested, in thin slices with tea or coffee, or plated with a dollop of cream (unsweetened since the cake has so much sweet marzipan-like flavor). I actually made it twice, and I think that, at least for my oven, a slightly longer baking time and more attention to beating the egg helped improve the second one. The first one came out lightly golden at 35 minutes with the classic smooth sheet on top, pulling away slightly form the edges of the pan, but when I turned it out, it looked concave. It was still delicious both the first night and the next day, though it became more dense. For almond lovers, that is still all good. I set that one aside and made a second cake the next day. I thought that since, unlike other almond cakes where you whip the egg whites separately, maybe I needed a bit more egg volume, so I chose a larger egg and, using a wire whisk by hand, really beat it a full 1 1/2 or 2 minutes. I still folded in the egg and melted butter as gently as I could. The other thing is to be gentle with the filled pan and just place it in the oven (i.e., don’t rap the cake pan to release air like you might have been taught as a kid making his or her first cakes). This needs to just have the batter smoothed and then baked. Resist the urge to open the oven to check on it. Just test it at 35 minutes and be sure the color is right—you want a toasted, golden look. If it isn’t quite there yet, give it another 5 minutes. It turns out easily—I put a second piece of parchment on the cooling rack to turn it over onto. Cut with a very sharp or serrated knife. No need to add anything, though a small dollop of unsweetened cream and a bit of citrus zest or a sprig of mint would be elegant for guests. It makes a 6-inch cake that can easily serve 8 if you don’t hide it and keep it for yourself. I stored my wrapped cake in the fridge, and it had a nice firm denseness that was even better the second day. My mate rated this an 11! I appreciated this cake all the more when I saw the prices it sells for online! Not bad for 15 minutes prep and a little patience. The flavor of the cake was very subtle and fairly sweet. I would've liked a touch less sugar. The edges were nice and chewy, and the middle was decadently buttery and soft. This flourless almond cake certainly won’t win any awards for looks—the top was pale and slightly lumpy looking, and the inside crumb was dense and less than photogenic. But the flavor and the aroma more than made up for its lackluster appearance. The almond flavor was subtle but nicely complemented by a hint of vanilla. The cake came together in no time with just a bowl and a spoon, which means that I can have fresh almond cake in less than an hour with little cleanup. I will definitely be making this again, though I might add a touch of almond extract next time in addition to the vanilla extract. I have a 6-inch cake pan that I've never used, so I was thrilled to find a recipe for a 6-inch cake. The finished cake was about 1 inch tall. I was already mixing up the cake when I realized there was no leavening of any kind. I was afraid the cake would be too dense, but it was fine. After 35 minutes of baking, the cake still seemed soft and looked raw on top. After 40 minutes, the cake was firm, and a tester came out clean. My almond flour was made from natural almonds, not blanched almonds. I imagine that’s why my cake was less golden than the picture. This flourless almond cake is definitely not a tender crumb cake you might associate with the term "cake," but it was a very flavorful little gluten-free cake. The almond and vanilla flavors were very pronounced, which we liked. I used an 8-inch buttered pan with parchment paper. It took 27 minutes to turn golden. The cake didn't rise very much but remained sweet and crunchy on top. I served our almond cake in thin slices with fresh peaches and softly whipped cream. It was an irresistible gluten-free dessert! This is a good recipe in terms of taste. Itʻs like a very large cookie, albeit a very soft cookie, rather than a cake. 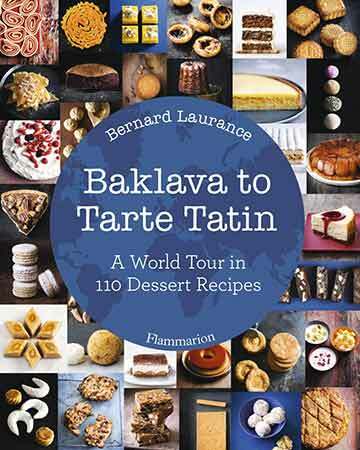 Flourless Almond Cake Recipe © 2015 Bernard Laurance. Photo © 2015 Amélie Roche. All rights reserved. All recipes and photos used with permission of the publisher.